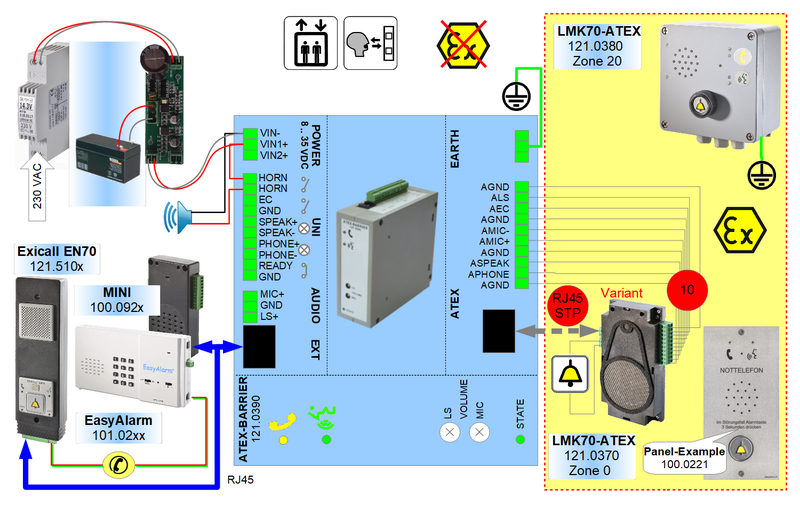 With the newly developed intercom LMK70-ATEX, as well as the associated universal ATEX protection barrier, Leitronic AG, based in Zufikon, is breaking new ground. 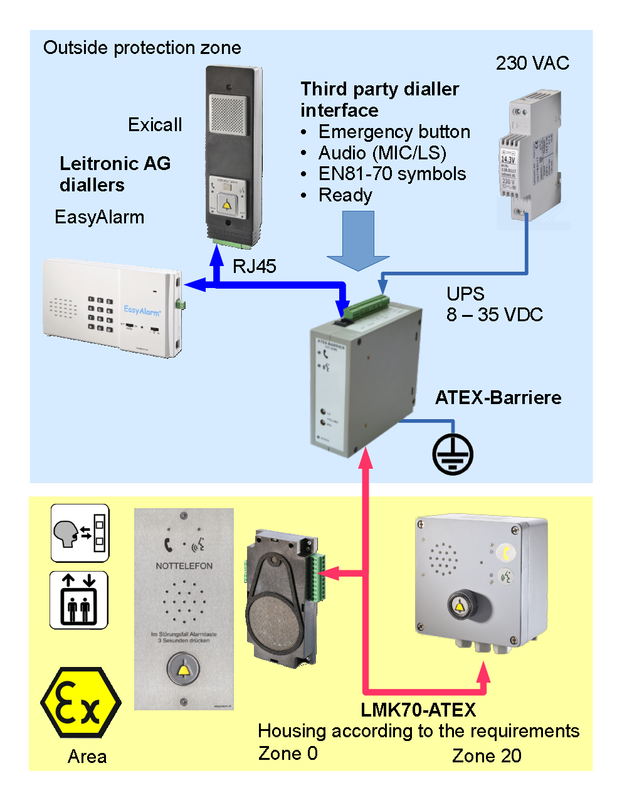 The combination is compatible with all of Leitronic's emergency devices such as EasyAlarm, Exicall, System-Nano. 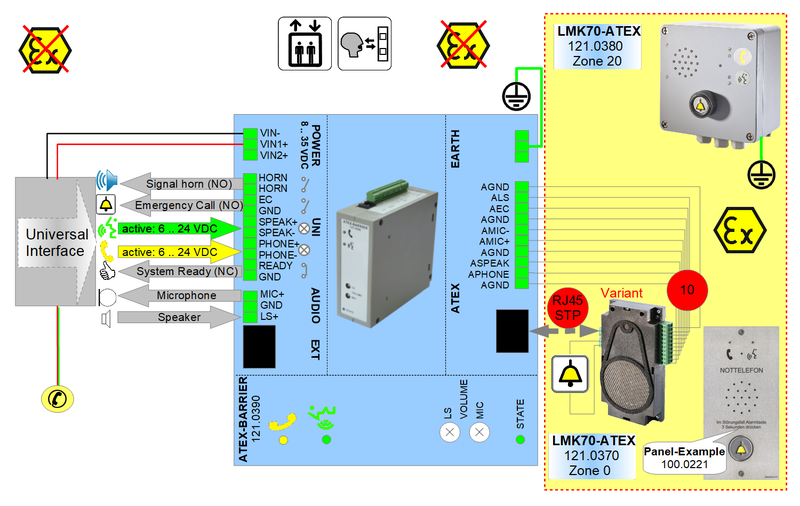 Further, due to the universally compatible interface on the ATEX barrier, it can be used with third-party devices. The ATEX barrier can cover a voltage range from 8 to 35 VDC. In addition to the adjustable microphone and loudspeaker audio interface, the interface for the EN81-70 symbols and an electrically isolated emergency button, the product also provides an alarm bell. The connection between intercom and barrier can be set up either by using a standard network cable RJ45 or a 10-pin cable. All connections are monitored regarding connectivity so that a general disruption is displayed. Standard box, i.e. standard panel design (hole pattern) with a regular emergency button. Protected compact version with integrated emergency button plus EN81-70 symbols.